You can transfer data either via your local network (LAN) or over the mobile phone network (GPRS). digipostpro comes with its own Download Key the digivu for fast and easy download and upload from your vehicles. The digipostpro also supports the digifobpro. 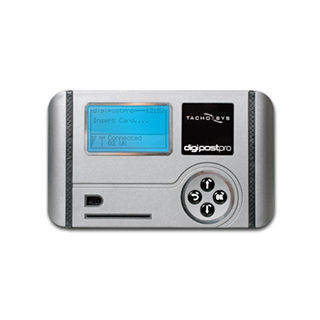 The digipostpro uses the Internet or the Local Area Network to communicate to a central server. You can choose to host your own central server or use in conjunction with the services of any of the supported software vendors. Data is sent using secure authentication methods. any company with multiple sites looking to centralise data collection. digipostpro can be totally standalone and placed in any position. Drivers can have constant access and can therefore upload their own data without fuss. For organisations with a large single site or fully networked locations there is a LAN version of the digipostpro.